Relive your childhood with a visit to one of the most interesting and unique museums in Penang! 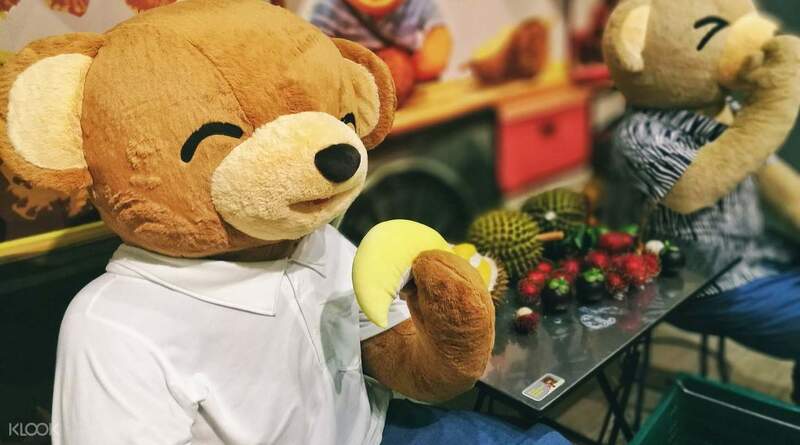 Step into the TeddyVille Museum and get ready to be greeted by Malaysia's first and largest collection of Teddy Bears from various nations and eras - dating as far back as the 1900's. See various displays of teddy bears in all shapes and sizes from miniature bears to ones as tall as a human person! 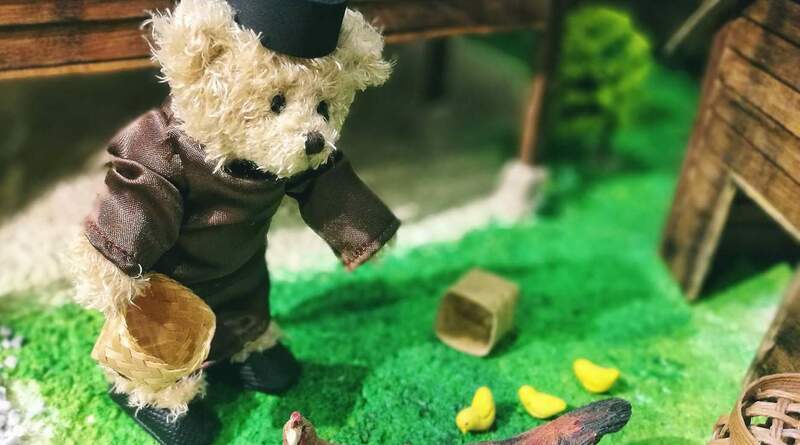 Not only will you be surrounded by an endless cuteness of fluffy furriness in this museum, but you'll also get to learn about the cultural history of Penang - as told by miniature bears - and of course, the origins and evolution of the classic teddy bear. 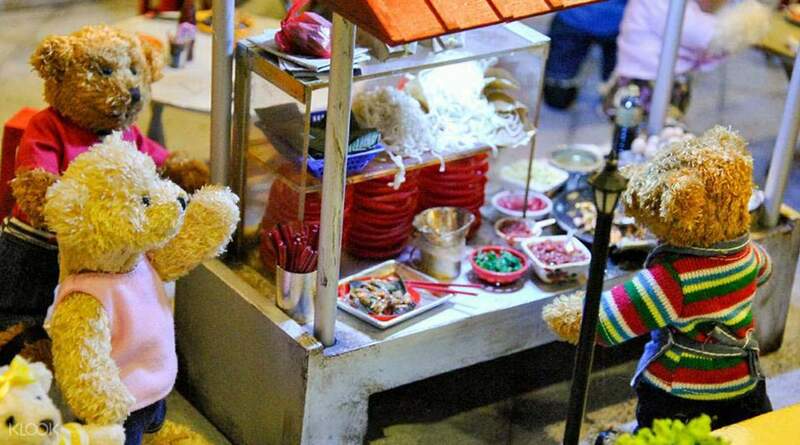 As a bonus to this trip, you also have the option to build your own bear to take home as a memorable souvenir! 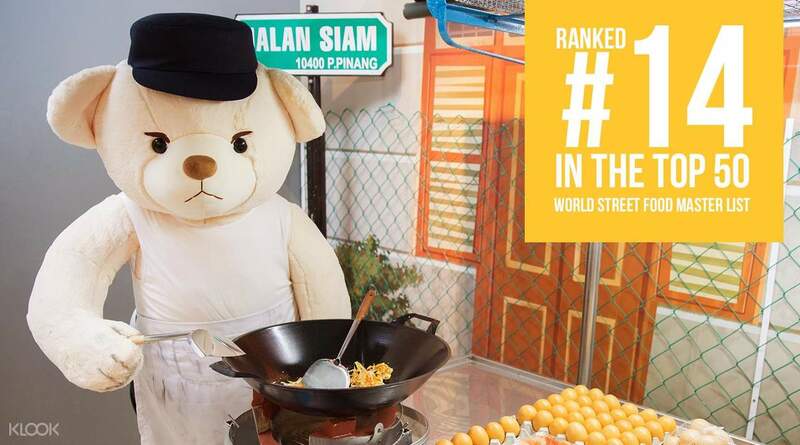 Take a food trip with teddy bear street food vendors! This was a wonderful experience for me and my friends. There are plenty of single room designed with different themes such as CNY themes, Raya themes, and Indian themes inside the museum. My friends and I were so excited to photoshoot with all the huge teddy bears inside haha. It should be a nice place for kids and also adults to find back their childhood memories. This was a wonderful experience for me and my friends. There are plenty of single room designed with different themes such as CNY themes, Raya themes, and Indian themes inside the museum. My friends and I were so excited to photoshoot with all the huge teddy bears inside haha. It should be a nice place for kids and also adults to find back their childhood memories. Nice place to see all the beary awesome display of bears from yesteryears until today. It also displays about Penang and its culture. Do shop something at their Beary Shop too as souvenirs. Nice place to see all the beary awesome display of bears from yesteryears until today. It also displays about Penang and its culture. Do shop something at their Beary Shop too as souvenirs. Great teddy bear museum located in Hotel. Many type of local style teddy bear. The entrance ticket come with RM10 discount on souvenir purchase. Great teddy bear museum located in Hotel. Many type of local style teddy bear. The entrance ticket come with RM10 discount on souvenir purchase. Great place to visit.. Staff very helpful and will explain all the history about Penang.. Great place to visit.. Staff very helpful and will explain all the history about Penang..
Not very big museum but a lot of teddy bear for the kids to take photo. Maybe can spend max 1 hour inside. They have a old collection of teddy bear inside which is interesting. Not very big museum but a lot of teddy bear for the kids to take photo. Maybe can spend max 1 hour inside. They have a old collection of teddy bear inside which is interesting. Second visit and it is still great place to go with. This round the staff come over and be a tour guide for a group of child. Second visit and it is still great place to go with. This round the staff come over and be a tour guide for a group of child. Cute teddy bear which theme penang and local favourite. Nice for photo shooting as well. It is not big and you may spend 1 hour there. Cute teddy bear which theme penang and local favourite. Nice for photo shooting as well. It is not big and you may spend 1 hour there. My kids had lots of fun at teddyville. They learned about history of the bears and also history of Penang too. We will go back for another visit again. My kids had lots of fun at teddyville. They learned about history of the bears and also history of Penang too. We will go back for another visit again. It's a very unique and nice place, the museum is full of cute bears and it also have the history about Penang with traveler's tips. I have a fun memory there. It's a very unique and nice place, the museum is full of cute bears and it also have the history about Penang with traveler's tips. I have a fun memory there.